Kharkov, we invite to the course! | Uimpl. Dental implants, implantation rates. 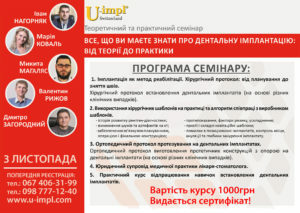 HomeBlogDevelopmentsKharkov, we invite to the course! Kharkov, we invite to the course!